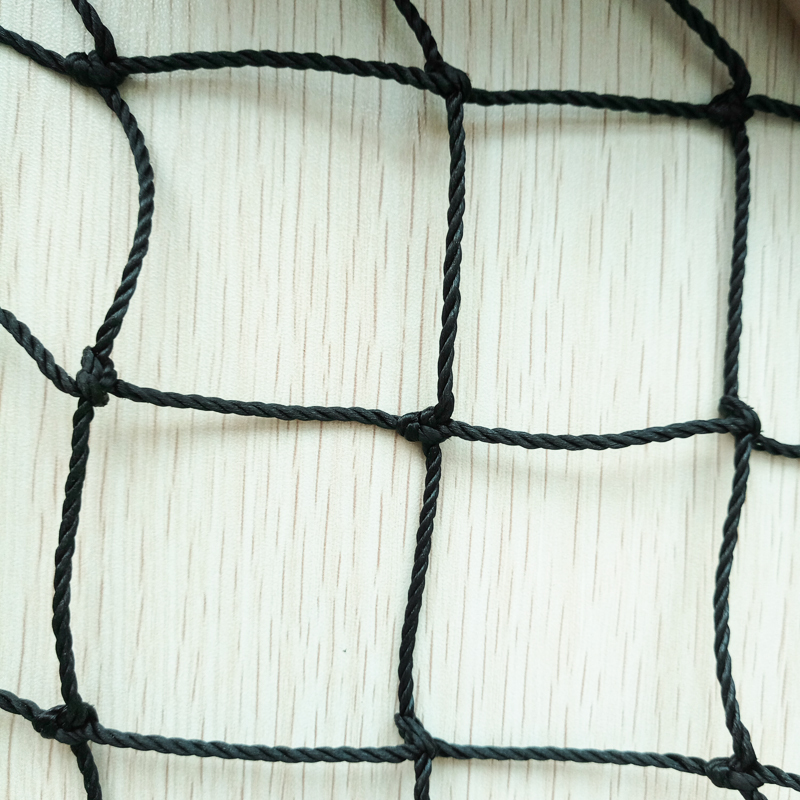 Huaxing Nets provide high quality Nylon Batting Cage Nets for all over the world. All the dimensions can be customized. #18: The lightest possible material for playground netting Nylon Batting Cage Nets. #21: The most popular Nylon Batting Cage Nets. Definitely not recommended for commercial facilities but excellent as a divider or backstop net. 1-3/4” mesh squared. #24: This product is the in between net Also not recommended for commercial facilities but also very good as a divider or backstop net. This net is for a customer that wants something a little stronger and thickener than the #21 but wants to keep the costs somewhat down. 1-3/4” mesh squared. With moderate use as a batting cage it can last up to 4-5 years. #36: The most popular playground netting seller & the most bang for the buck. Many little leagues, colleges, indoor facilities & some major league teams use this net as their cages. This is exceptional baseball backstop netting used by many organizations including MLB teams. This net is a little over half the thickness of a pencil. 1-3/4” mesh squared. #42: A step up from the #36 nylon net. This net is about 3/4” the thickness of a pencil. This may be overkill as playground netting go but if you have the budget for it, it will last you quite a while. 1-3/4” mesh squared. #60: This net does not make sense as a baseball backstop netting but many high-end customers purchase this net as a batting cage to ensure 8-10 years of life. The thickness of this net is similar to the thickness of a pencil. 1-3/4” mesh squared. 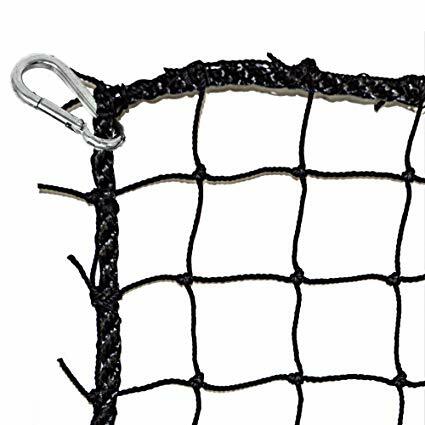 #72: This #72 nylon net is used only for pieces within a batting cage like a divider or impact side. Hence, it is also very popular for use in sides that take major hits from consistent ball action. 1-3/4” mesh squared. #96: This #96 nylon net is used only for pieces within a batting cage like a divider or impact side but we have sold a few batting cages of this size. Extremely heavy and typically used for amusement parks in kids areas as a safety net or climbing net. As a result, it is also very popular for use in batting cage sides that take major hits from consistent ball action. 1-3/4” mesh squared.